Mix 1 to 2 scoops with 8-16oz of water or favorite beverage. Drink 1-3 servings per day or as needed to reach your protein requirements. 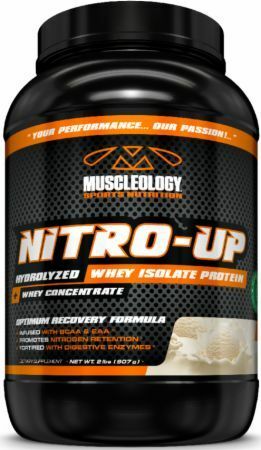 The best times to take NITRO-UP™ are before or after training, for breakfast, before bed or between meals. Use this product as a food supplement only. Do not use for weight reduction. Do not accept this product if seal is broken or missing. KEEP OUT OF THE REACH OF CHILDREN. STORE IN A COOL, DRY PLACE.